Grand Falls is the most remote and secluded hut; the northernmost point in the entire system. With spectacular views, easy access to Grand Falls waterfall, and accessible by boat, this hut is a favorite for many. 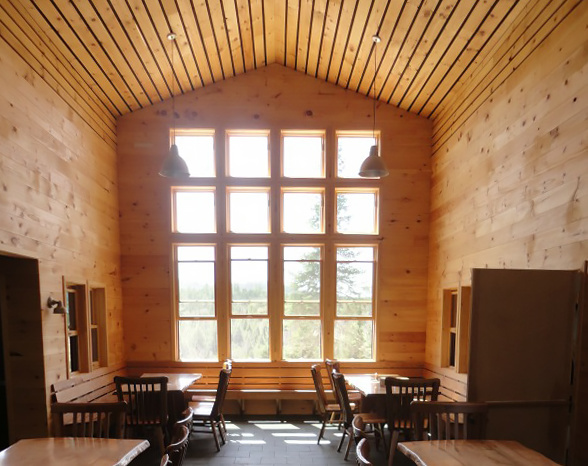 Winter travel makes Grand Falls Hut a true backcountry experience. Best accessed by skiers and fat bikers, travelers will enjoy the breathtaking Northern Maine views. Summer months offer hiking and mountain biking. Plan a one of kind fishing trip or create a base camp for a paddle or white water trip down the Dead River. 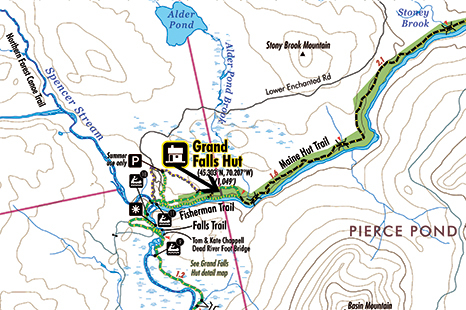 To Access Grand Falls Hut during the summer, please use Lower Enchanted or Big Eddy Trailhead. West Forks is not recommended. 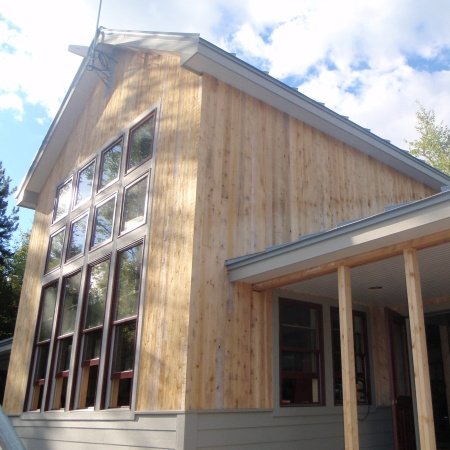 Maine Huts & Trails would like to offer special thanks to Robert and Gayle Greenhill for making this hut possible.